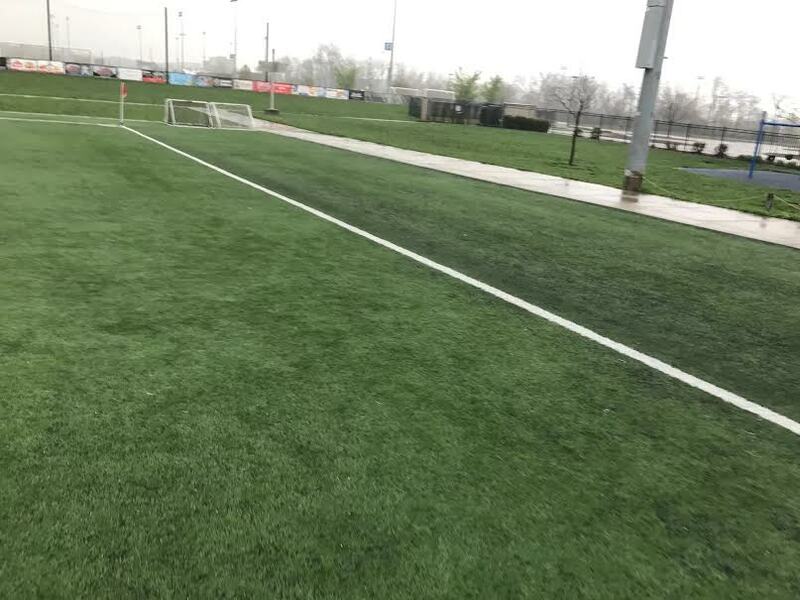 Facilities across the country enjoy the cost effective benefits of used turf in a wide variety of applications, including practice fields, batting cages, baseball academies, basements and backyards. 1-2 lbs of rubber infill still intact for shock absorption. This reduces your total turf investment. 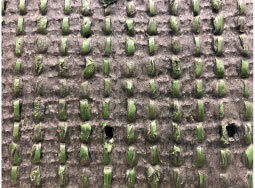 Some additional rubber infill may need to be added to properly distribute evenly throughout, depending on activity turf is used for. Our used synthetic turf is premium quality material, removed over 10 years in advance of it's life-span. Every field we remove is different. Here's the specs on the current field we just pulled up and what you need to about shipping before you make your purchase. Practice Sports has always been the best place on the internet to buy used turf. And now we’ve made it even easier. Whether you need a single roll or an entire field we can help. How Much Used Turf Do You Need? Each roll is 50' L x 15' W (750 sq ft.) No roll cuts available. 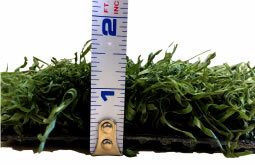 We never sell turf that's not still usable, but you should be informed about the limitations of used turf. For more information check out our Turf Removal page. Due to the nature of used turf, it will not be in new factory condition. This means it may have inconsistencies in the blades (some areas may be more worn than others), or may have cuts that occurred during removal. Any imperfect areas can either be repaired on site during installation, or cut away & discarded. Used turf should be installed by an experienced installer who understands how to properly cut & seam turf. A professional installer can handle the minor cuts & repairs needed to properly re-install used turf. All used turf is sold as-is and all sales are final. Contact us for a turf sample in advance of ordering to evaluate, and we're confident you'll love the quality. 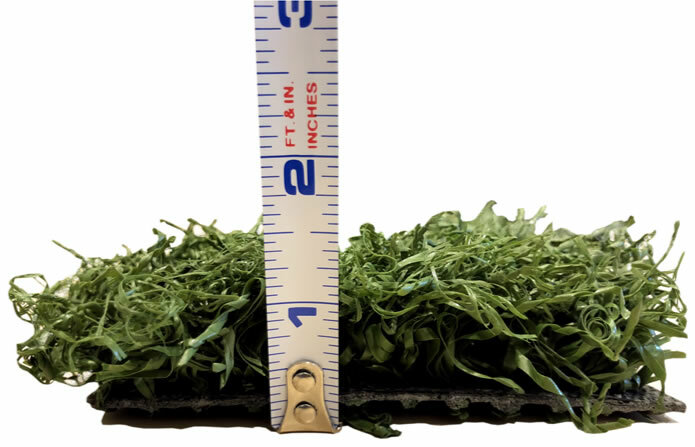 The final turf received is not guaranteed to exactly match the sample, which may have been cut from a different area of the field - compared to the rolls available when your purchase is made. For larger orders, we do our best to provide samples from the same rolls you will receive. Just tell us a little bit about yourself and your question or project, and we’ll help get you squared away. To verify you're not a spambot answer this question: Is fire HOT or cold? xInstallation is much easier. The rolls will be significantly lighter, and the rubber beads won't get into your glue line. Rubber fill was designed to be applied AFTER installation, with a giant spreader to properly distribute. Used turf that ships with the fill inside will still require additional fill & distribution to spread evenly. It's a maintenance headache. xNo, this turf is very heavy & dense even without the fill. 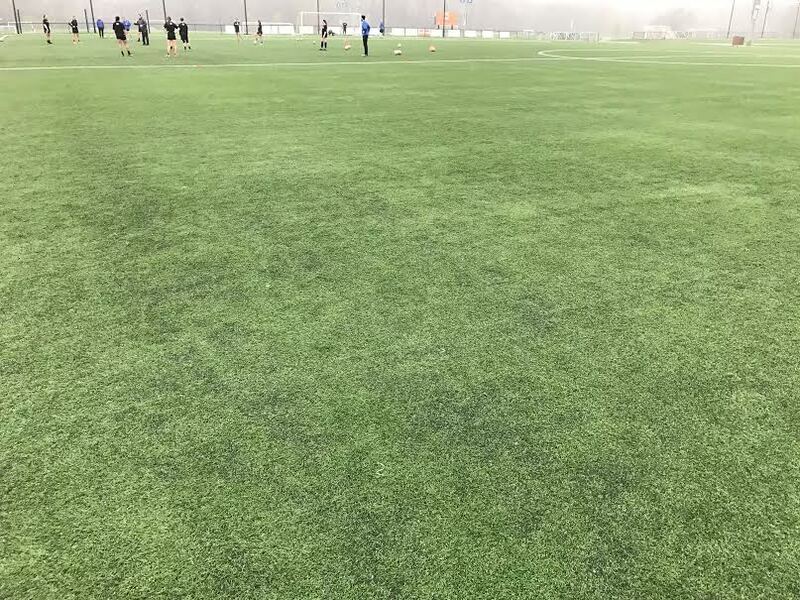 Most applications using used turf are PRACTICE environments, which do not have a high level of impact. If you will have heavy impact, you may wish to apply rubber after installation to help with shock absorption. 95% of our customers do not add fill, and this turf works very nicely without it. We do sell recycled rubber if needed for .15 cents per lb. xYes, this is virtually guaranteed, and it's not possible to sell used turf without some lines. xYes, if you place an order for several thousand square feet and we still have plenty of inventory, we can ensure you receive consecutive rolls so the lines match up. xYes, we offer a 10% discount on orders 5,000 sq ft, and 20% discount on 10,000 square feet and up. If you would like an entire field, we can discuss even higher discounts. xShipping to commercial locations in the lower 48 US states is free. Residential shipping has a flat $100 fee. Motor freight shipping is only "curb-side" delivery, which means the customer is responsible for unloading & transporting to it's final destination. You will need adequate machinery or helpers to help the driver off-load. xNo, all sales are final. xOur used turf is all average - good grade, typically ranging from 8-12 years old. We do not sell low grade product. The turf you receive may be more worn in certain areas, but will not have large chunks missing. Be careful of your source, there is plenty of low quality used turf in the market which we do not consider usable. 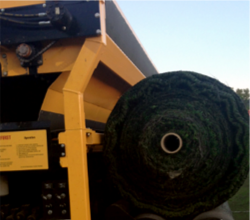 xOur crew removes turf from football fields across the country. 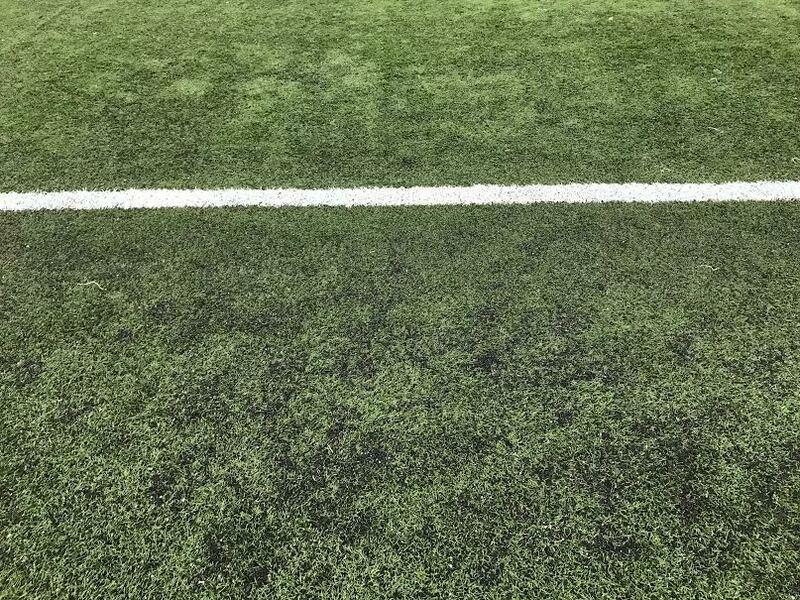 The style of our used turf is comparable to most field turf you will find on major college or pro team fields. xThis is a tough question to answer, since the turf is used it will be more worn in certain areas than others. The manufacturers finished fiber length is 2.5", and the used measured height is approximately 1-3/8" - but this is not guaranteed. xNo, this is not necessary for our product. Our used turf is very dense on the face. For high impact applications you may wish to consider adding some rubber beads for extra shock absorption (3-7 lbs per foot). xIt's a urethane based 'action bac' with a 20 oz weight. xRemember, rubber is not needed on the majority of practice applications. But if high impact will occur, the general guideline for rubber application is 3-7 lbs per square foot depending on usage. xIt can be loose-laid, staked, taped, or glued. It's very heavy on it's own, so most people will just un-roll and play. Ground stakes can help anchor into the ground; or if inside double-faced seaming tape can work as well. If gluing, typically you can get away with a bead of glue along the edges / seams. Liquid Nails or Henrys multi-purpose carpet adhesive works well. Just make sure your glue is urethane compatible.